These pendants make a beautiful gift for a new mum or grandmother. 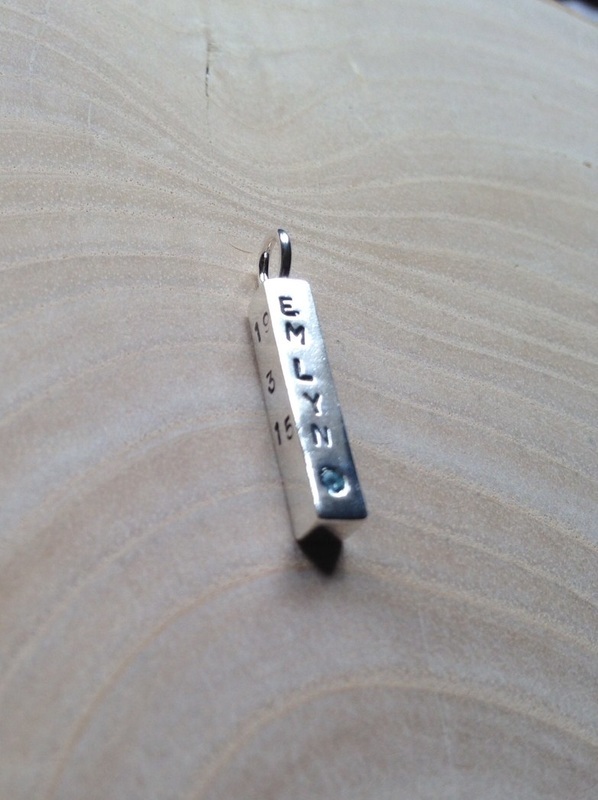 They are handmade with the baby's name stamped onto each side of a rectangular faced pendant. The birth date or parents' names can be included also. 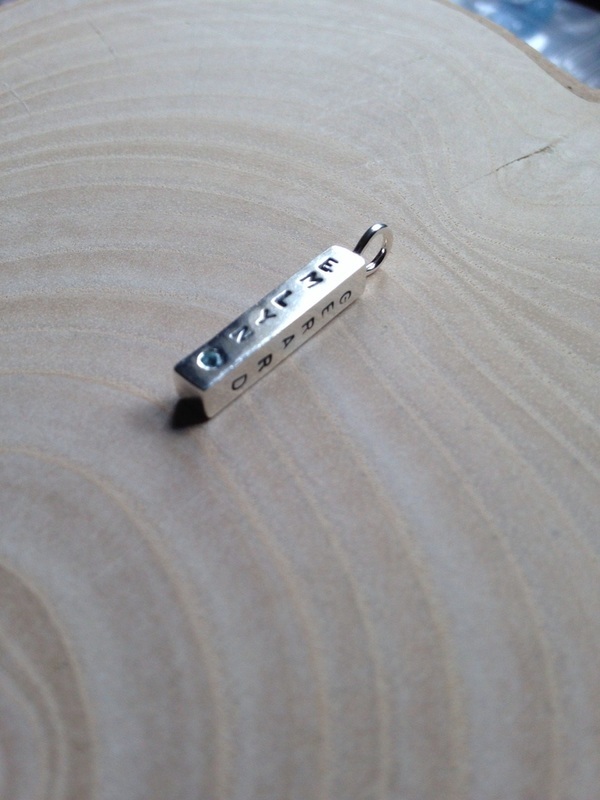 So the lettering stands out it has been oxidised, a process which darkens the silver. The baby's birthstone can be set into the front of the pendant; this pendant includes a 2mm aquamarine. The cost of this varies depending on the type of stone required; please contact me to discuss. 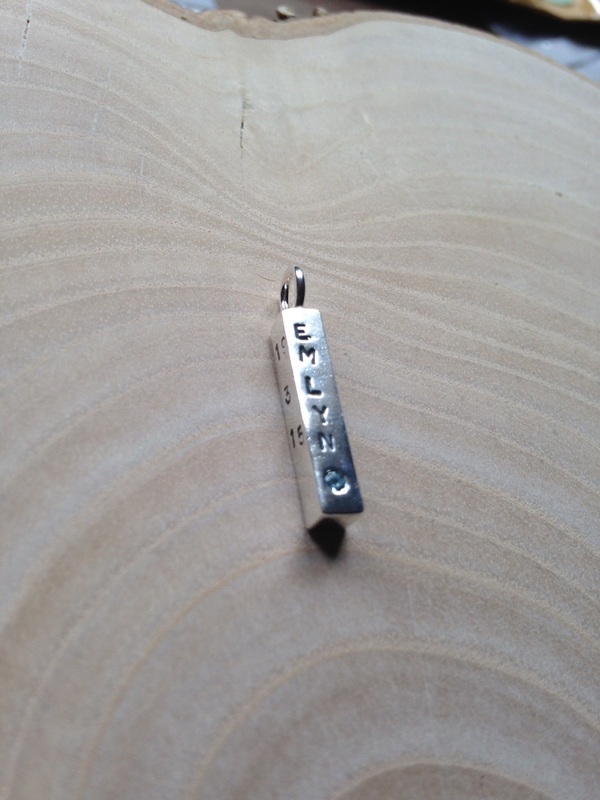 It can be brought on a silver chain - contact me for price options of these. Made to order designs can take up to four weeks for production and delivery, but do contact me if you require these sooner. These can also be created to celebrate an engagement, marriage, christening or other special life event. It will come carefully packaged in a lovely black jewellery box.